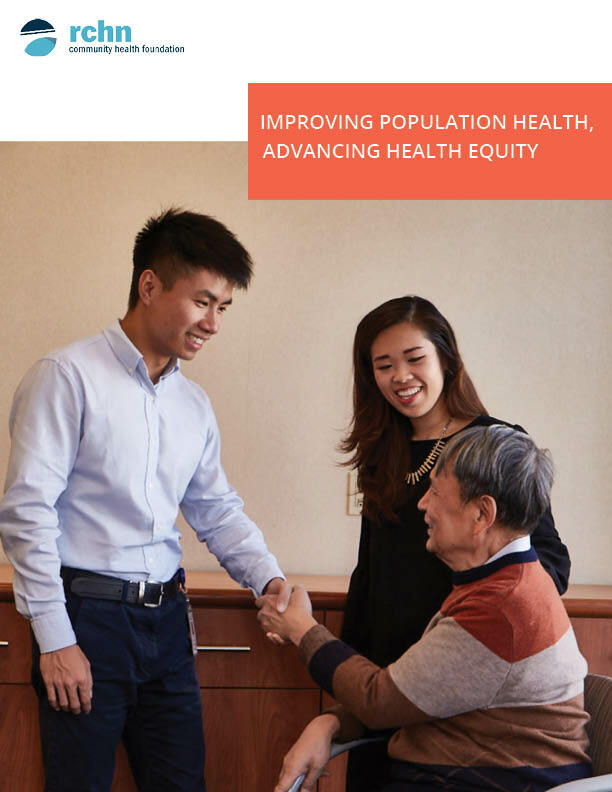 Today, we are pleased to share the RCHN Community Health Foundation’s newest publication: Improving Population Health, Advancing Health Equity, a summary of completed projects and update on programs currently supported by our population health improvement initiative. From reducing and preventing infant mortality in Sandusky, Ohio, to coordination of care for people experiencing homelessness in Santa Rosa, California, our population health grantees have developed innovative approaches to elevating the health of their communities. The successes of our program grantees reflect thoughtful engagement, substantive collaborations and committed leadership at all levels, and we are grateful to our health center and PCA partners for allowing us to work closely with them, and share their stories. Download Improving Population Health, Advancing Health Equity by visiting our website here. Please join us for a special webinar program on Thursday, April 25 from 2:00p.m. – 3:15p.m Eastern, titled Medicaid Delivery and Payment Reform: Experience of MA and NY Community Health Centers. The webcast will feature policy experts from the Department of Health Policy at Milken Institute School of Public Health at the George Washington University, Viaduct Consulting, Community Health Care Association of New York State and Massachusetts League of Community Health who will offer findings from a recent in-depth study of Medicaid delivery system and payment reform demonstrations in New York and Massachusetts, focused on community health center and primary care association participation, experience and leadership. The speakers will provide insights for other states and national policymakers involved in the effort to attain deep and lasting health care delivery transformation. 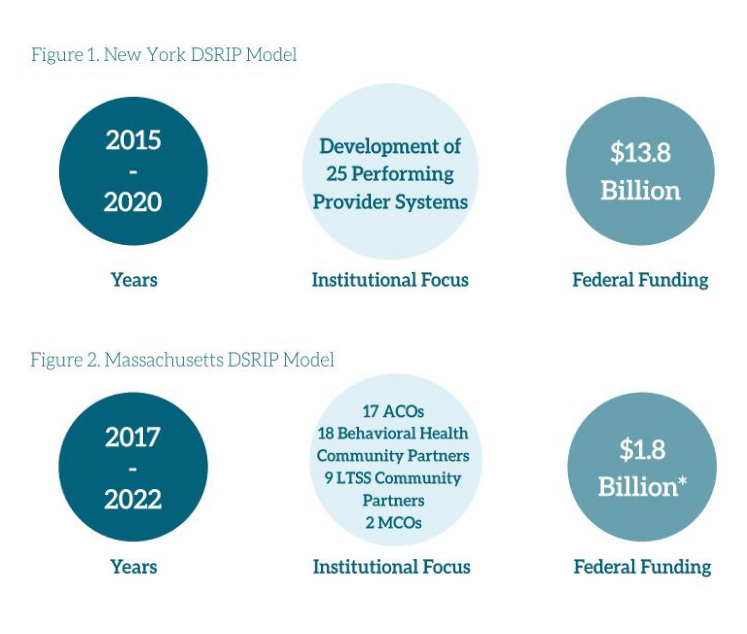 This webinar will provide an overview of MA and NY Medicaid Delivery and Payment Reform (DSRIP) goals, focused on community health center and primary care association participation, experience and leadership. Read the full study conducted by Sara Rosenbaum (Geiger Gibson/RCHN Community Health Foundation Research Collaborative) and Vikki Wachino (Viaduct Consulting) here. This new issue brief from the Kaiser Family Foundation (KFF) describes the essential role of CHCs in the delivery of community based health care, and the primary sources of health center revenue – Medicaid and Section 330 grants. The evolution of these two funding streams, which together account for nearly two thirds of health center funding, has contributed to significant growth in the health center program, facilitating the expansion of services to millions of additional residents of the nation’s most medically underserved rural and urban communities. The authors are Sara Rosenbaum, Jessica Sharac, Peter Shin (Geiger Gibson Program in Community Health Policy, Milken Institute School of Public Health, GW) and Jennifer Tolbert (KFF). Additional funding support for the study was provided by the RCHN Community Health Foundation. Each year, the Geiger Gibson Program in Community Health Policy at the George Washington University’s Milken Institute School of Public Health honors young professionals currently working in the field of community health. Community health centers and primary care associations nominate dedicated young public health professionals who exemplify the mission and vision of Drs. H. Jack Geiger and Count Gibson, pioneers for community health and human rights and founding fathers of our nation’s community health centers. 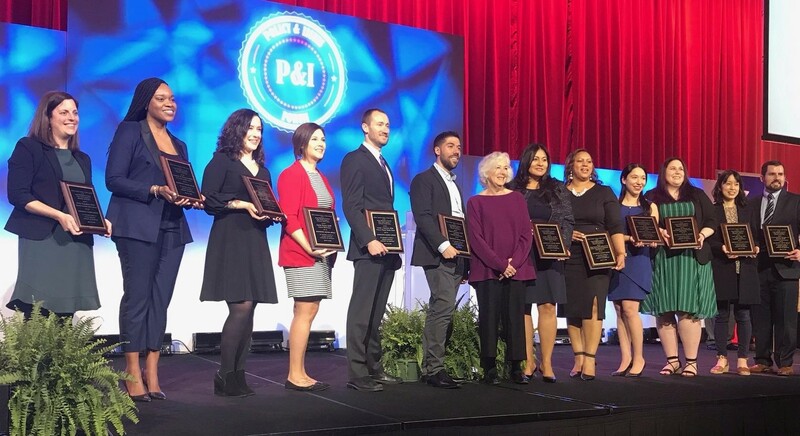 This year, 12 Emerging Leaders from across the country were presented with awards at a ceremony held March 30 during the National Association of Community Health Centers 2019 Policy and Issues Forum in Washington, DC. “The professionals recognized as Emerging Leaders truly are the future of America’s health center program. We are delighted to recognize their achievements in the field today as clinicians, managers, health educators and public health experts, and anticipate their contributions in the years ahead.” said Feygele Jacobs, President and CEO of the RCHN Community Health Foundation, whose ongoing gift supports the Geiger Gibson Program. To view 2019 Emerging Leader Award recipients, read our press release here. Emerging Leader Award recipients with Sara Rosenbaum at the 2019 NACHC Policy and Issues Forum, Washington, DC. Read about the newest Geiger Gibson program Distinguished Visitor, John Silva, and Distinguished Visitor Emeritus, Dan Hawkins. 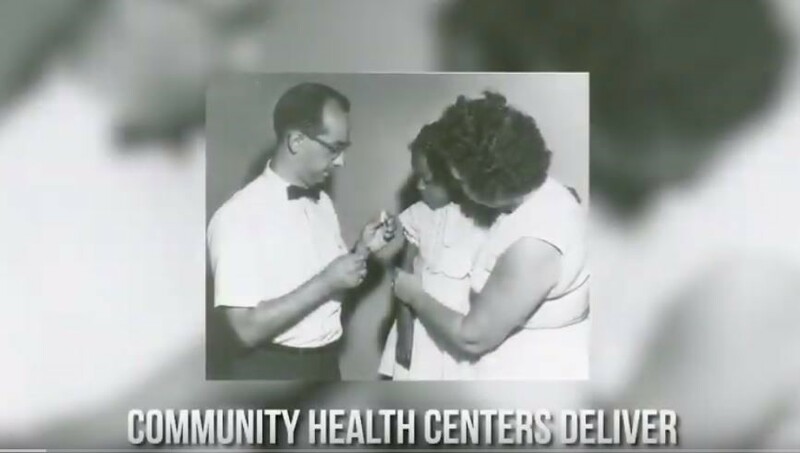 In our new video, health center leaders reflect on the founding and ongoing work of their organizations and the continued relevance of the community health center movement. Community Health Centers Deliver, recorded as part of the CHroniCles project, showcases the unique and shared CHC experience, in urban to rural settings across America, and documents the resilience and strength of the community health center program. We are grateful to our colleagues who contributed to this video, and to the Chronicles effort, for their ongoing work and commitment to provide access and care to all. We are proud to be a part of The Fund for New Citizens, a collaborative of 14 foundations that supports capacity building and advocacy by immigrant-led organizations in New York. In the current grantmaking cycle, the Fund, which is housed at in The New York Community Trust, is awarding more than $1 million to local nonprofits that provide critical support and advocacy for immigrant communities facing discrimination. A full list of the 19 awardees can be found here.